1. （Take Cloud Wallet as an example) In your Cloud Wallet----Click ETH wallet---Click "Receive"
2. Send your ETH to your ETH address or using QR code to receive. And you can click the right top corner to share your address to your friends. Note: Please don't deposit any digital assets other than ETH. Sending other digital assets could not be retrieved. 4. When the you completes your transaction, you can check the transaction status and details in Cobo. 5. Your balance will be updated when transaction was finished. 6. Click the Transaction Record to check details: Date, Time, Amount, Transaction ID, sender address, receiving address, Memo, Block Height, Click the share button on the right top corner to share the transaction information. 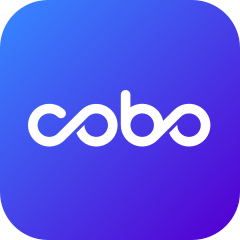 You can transfer to any Cobo Cloud Wallet account with 0 fee, and all transactions are executed instantly. Transactions from addresses other than Cobo Cloud Wallet could only be completed after sufficient data block confirmation.